Cats, by nature, are outdoor animals. You see that cute little furball curled up on the pillow next to you, purring? That pretty kitty is a wild animal in captivity—and no, we’re not just talking about cattitude and the sassy behavior of some felines. When your kitty is sitting on the window perch, tracking birds and chatting at squirrels, it’s because she wants to be outside hunting and experiencing life outside of your home. It’s hard for your indoor cat to express her desire to venture outside, but like all other animals, cats need environmental enrichment. Your kitty needs to experience things outside the realm of her daily indoor life. Opening a door or window and letting your cat roam freely puts your kitty’s health and overall safety in danger, especially if your cat is an indoor-only cat. You’ve certainly seen cat harnesses and leashes before, and it’s possible you may have even seen people attempting (successfully or unsuccessfully) to walk their cat, in the past. In reality, leash-training is an excellent way to get your cat the outdoor time it so desperately desires. If you are a cat owner, you know that your kitty wants to do things her way, and training cats isn’t the easiest of jobs. Why shouldn’t I let my cat outside? Although cats are wild animals and natural hunters, letting them free roam outside puts their health and safety in danger. There are a multitude of things that your domesticated cat can run into outdoors, including poisonous plants and flowers, coyotes, dogs and roaring traffic. So while you may feel guilty keeping your cat indoors at all times, you are actually doing her a favor by keeping her safe and protecting her from predators. Also, if your cat happens to come across another cat while roaming outside, and the two kitties don’t get along, a fight will probably ensue. If your cat is an indoor-only cat, chances are she’s going to catch a smack or two when the brawl starts. And if the other cat happens to be a stray, it is very likely that he is carrying some sort of disease, possibly even rabies. Hopefully your kitty is up-to-date on all of her shots, but even so, that type of environment is too unsafe and there are too many unknown variables. If you want your cat to experience the beautiful outdoors, keep her on a leash. If your kitty needs to be vaccinated, call your local vet clinic and arrange an appointment today. How do I leash train my cat? As we know, cats can be finicky. One minute, you are your kitty’s best friend. She’s sitting on your lap, nuzzling your hand, begging to be petted and loved. You give in and start scratching her back and tummy. Two minutes later, your cat is fleeing the scene after digging her nails into your arm as punishment for petting her 15 seconds longer than she wanted. This is all to say—cats are cats. If you decide that your cat will welcome the opportunity to be outdoors and are ready to purchase a leash, make sure you are shopping for the right things. When it comes to walking your cat, you want to purchase both a harness and a leash. If you simply attach a leash to your cat’s collar, one of two things might happen. One, your cat may be able to back out of her collar and escape up a tree or over a fence. 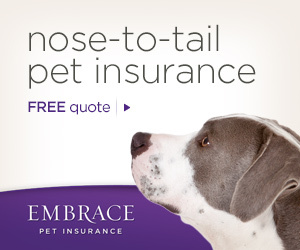 Or two, your cat may strangle or choke herself attempting to pull away from the leash. There are many choices when it comes to cat harnesses and leashes and choosing the perfect products all depend on personal preference (your cat’s personal preference, that is). When you’re ready for the first day of training, make sure you have a full supply of your cat’s favorite treats. Food will be your main motivator. Although cats are known for doing whatever they want, even if it goes against their owner’s request, they respond positively to treats and positive verbal praise, just like the rest of us. For the next few days (or weeks), you will help your cat get used to the leash and harness by walking around inside. The goal is to constantly praise your cat if she smells the harness, doesn’t run away when you hold the harness against her body and when she finally walks around the house, comfortably, with the harness on. If she begins to get irritated with the harness, remove it immediately. You want to help your kitty learn that the harness and leash are good things and that she will be rewarded when she wears them. If you and your kitty are both feeling confident about the indoor training, it’s time to venture outdoors. Calmly coax your kitty (with verbal praise and treats) outside the front door. When your cat begins searching around, sniffing and exploring with her tail up, take another baby step away from the house. This entire process will be much like the game, “Mother May I?” If your kitty seems happy and confident, take another step away from the house. If your kitty seems spooked or worried, take a step back towards the house. It will take time and patience, but after awhile, your cat will become familiar and comfortable with the outdoors. Remember to never tie your cat’s leash to anything when you are outside together—even if it’s only for a few minutes. If your fur baby becomes frightened, she could get tangled up in her leash and choke herself. You know how to love your cat and you know how she responds to stimuli. 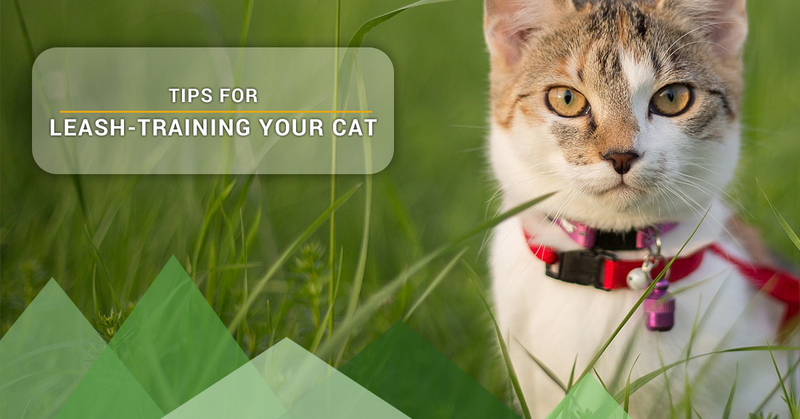 These are only tips on how to leash-train your kitty, but every cat is different and the most important thing is that you tailor your approach to her needs. Be sure your cat is up-to-date on all of her shots and has had a routine check-up to make sure she is healthy enough to venture outdoors. If you need to have your kitty vaccinated or just want to schedule a routine checkup, call the professionals at Rancho Regional Veterinary Hospital. Our pet clinic in Rancho Cucamonga offers an array of services including surgical services, pet transportation, dentistry and more. Give us a call today to schedule your appointment!